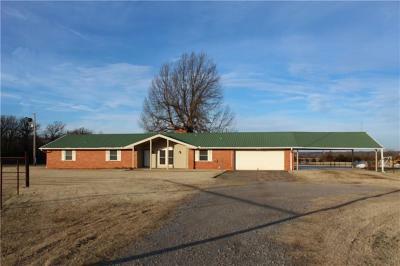 The Perfect 40 Acres, This Property has everything you could ask for! Beautiful pasture, 2 ponds, 40x60 shop, barn , shed, corrals, working chute, storm shelter, pipe fencing, and all surrounding this 2513 sf 4 bedroom 2 1/2 bathroom Brick home, plus additional 320 sf Sun and game room not included in sq footage, Just 1. 5 Miles outside of Chandler. Perfect for horses, a few cows, fishing, or a great place to start a business, near Hwy 66 and the airport, on Asphalt Road.